Get the facts, what to look out for and how you can protect your dog against the virus! Canine influenza virus (CIV), or "dog flu", is a highly contagious viral infection that affects dogs. No. According to the AMVA (American Veterinary Medical Association), there have been no known cases of these influenza viruses infecting humans. What happens when a dog is infected with the canine influenza virus? Symptoms appear two to four days after exposure to the virus. Dogs can transmit influenza to other dogs between one and five days after they have initially been infected. So a dog may share the virus with and infect other dogs before it appears to be ill.
Canine influenza spreads the same way that human flu spreads-- through direct contact (kissing, licking, nuzzling etc.,) and via contaminated surfaces (such as when a person picks up the virus on their hands or clothing and then handles or pets a dog). What are symptoms of Canine Influenza? Canine influenza is usually mild but can become quite serious in some dogs. A small number of dogs infected with the virus have died from complications associated with the disease. How is Canine Influenza infection initially diagnosed? It’s hard to diagnose canine influenza. Many times it can be confused with kennel cough because the signs are very similar. Your veterinarian may collect blood or nasal swab samples; however, these laboratory tests may not confirm canine influenza infection because the samples must be taken at the appropriate time in the course of your dog’s illness. 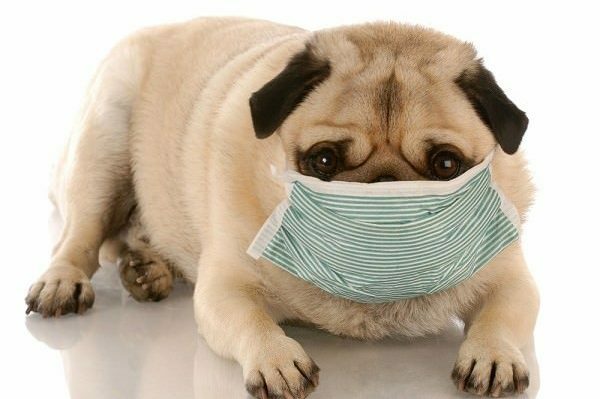 If your dog has a history of being exposed to other dogs with canine influenza (or suspected of having canine influenza), it is reasonable to suspect hat your dog has something more than ordinary kennel cough. • Board at a kennel or go to doggie daycare? • Attend group training or “dog kindergarten”? with other dogs on daily walks? Is there a particular time of year the influenza vaccine should be given? The Canine Influenza vaccine can be given at any time. Unlike human flu, canine influenza is not seasonal, and dogs are vulnerable year-round. 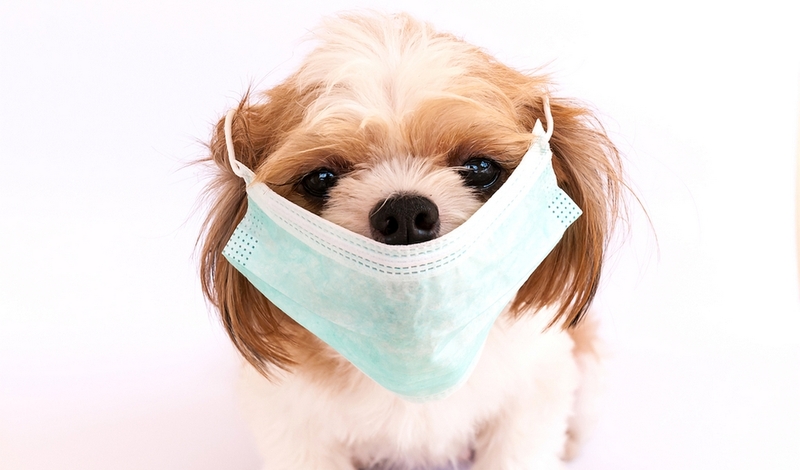 How can I protect my dog from Canine Influenza? Protection starts by keeping your dog in good general health. A well-nourished, well-cared-for pet who receives annual physical examinations from their veterinarian will have a stronger immune system to help fight off infection. When you must board your pet, make sure the facility is clean, well-maintained, and that there is an influenza outbreak management plan in place. What about the Canine Influenza vaccine? Talk to your veterinarian today to see if the Canine Influenza vaccine is right for your dog! The vaccine can be given to dogs that are six weeks and older and are given in two doses-- two to four weeks apart. 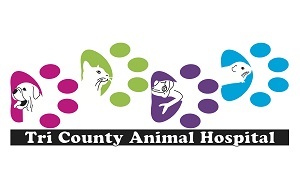 Call us today to schedule for your dog to receive their canine influenza vaccine!